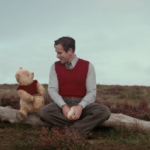 The biggest surprise of 2018 may be the fact that Richard Sherman wrote three new songs for Christopher Robin. The Original Motion Picture Soundtrack is now available and collects all three, in addition to the new score by Geoff Zanelli and Jon Brion. It offers an overall relaxing listen, perfect for adults who grew up with Winnie the Pooh. The first new Sherman song appears early in the film and is the second track on this release, “Goodbye, Farewell.” Pooh and his friends sing this tune around a picnic table at Christopher’s going away party. It’s uptempo and fun, melodically reminiscent of “Heffalumps and Woozles” but with subdued undertones. The other two songs close the soundtrack. “Busy Doing Nothing” appears as a special fan-service moment during the credits with Richard Sherman on screen performing the song on a beach. It’s another classic jaunty and while Richard Sherman was more of a lyricist when working with his brother Robert, his melodies are unmistakably Sherman. 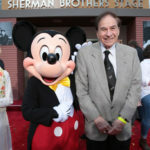 The final track on the soundtrack and the last Sherman song is called “Christopher Robin.” This one is more of a somber ballad also performed by Richard, which reminds me in many ways of his demo for “Through the Eyes of Love,” an unused song from Mary Poppins. It has a lovely yet haunting melody and I wish the composers would have used it elsewhere in the score. Composers Geoff Zanelli and Jon Brion are no strangers to Disney. Between them, they’ve composed for Disney animated shorts (Glago’s Guest and The Blue Umbrella) and live action (The Odd Life of Timothy Green and Pirates of the Caribbean: Dead Men Tell No Tales). 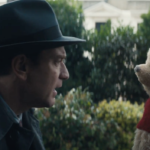 The score uses lots of piano, acoustic guitar, cabasas, and chimes to underscore Christopher Robin’s new adventure. The main theme is light and airy and works both as a happy uptempo ditty and as a somber, subdued underscore. 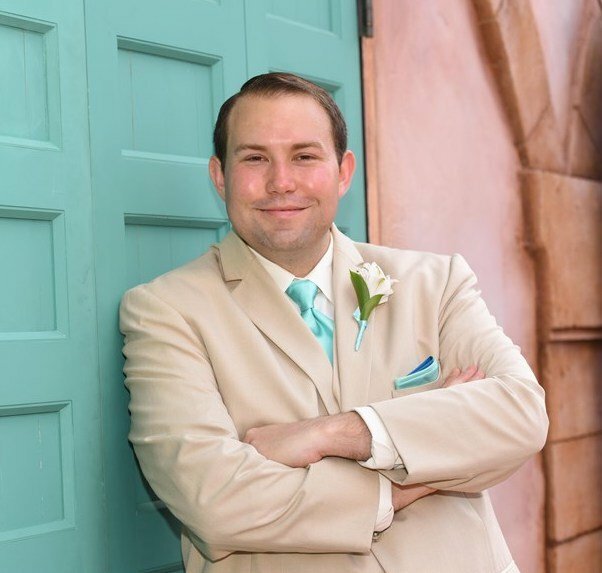 It’s the most repetitious melody in the score, but there are a few more whimsical compositions. 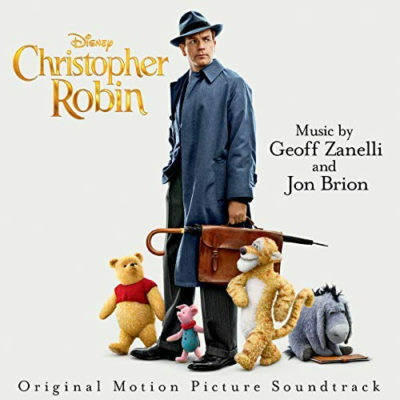 “Heffalump Battle” and “Train Station.” As an overall listening experience, the Christopher Robin soundtrack has a calming effect on the listener. The composers have sprinkled bits of Sherman magic through the score as well. The opening track, “Storybook,” features a short refrain of Pooh’s theme song that would have accompanied the lyric “Deep in the Hundred Acre Wood.” You can also find “The Wonderful Thing About Tiggers” sampled in “Nothing Bad Ever Came From Bouncing.” That song, as well as “Up Down, Touch the Ground” are both sung in the film, but are not on the soundtrack. 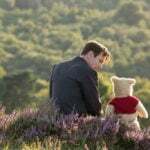 Disney fans and soundtrack collectors alike should make the Original Motion Picture Soundtrack of Christopher Robin a part of their music collection immediately. Whether you loved the film or not, the new Richard Sherman songs are a special treat that are not to be missed and the beautiful score by Zanelli/Brion make for a nice way to unwind and relax. 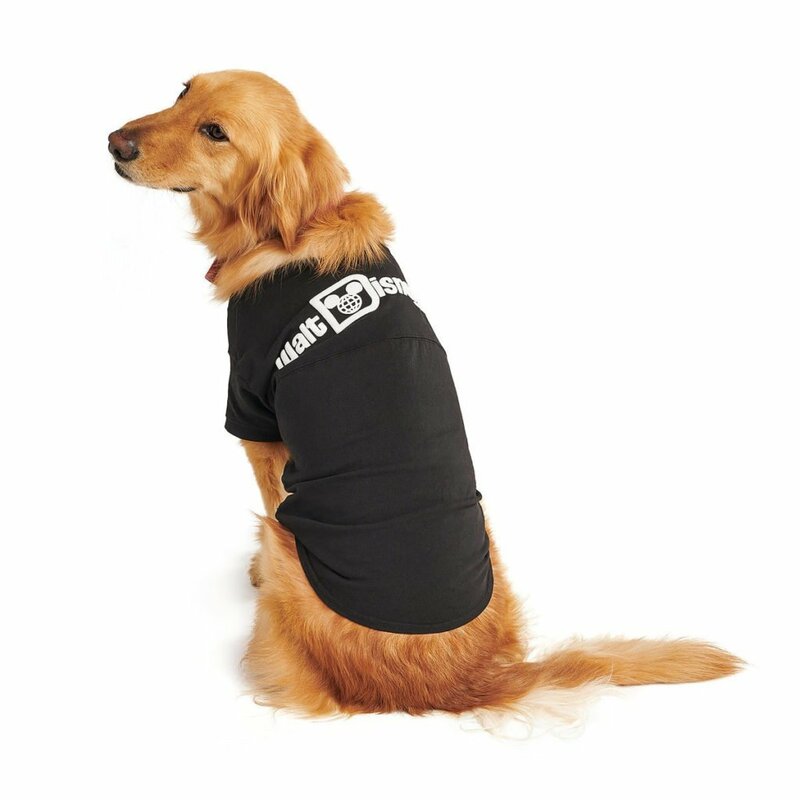 It’s the perfect way to find yourself busy doing nothing on a hunny sort of day.